From dreams of soccer glory to the realities of the minor leagues, the high-stakes world of English football comes to life in this vivid coming-of-age novel for fans of Nick Hornby and The Art of Fielding. After his unceremonious release from a Premier League academy at nineteen, Tom feels his bright future slipping away. The only contract offer he receives is from a lower-level club. Away from home for the first time, Tom struggles on and off the field, anxious to avoid the cruel pranks and hazing rituals of his teammates. Then a taboo encounter upends what little stability he has, forcing Tom to reconcile his suppressed desires with his drive to succeed. Meanwhile, the team’s popular captain, Chris, is in denial about the state of his marriage. His wife, Leah, has almost forgotten the dreams she once held for her career. As her husband is transferred from club to club, and raising their first child practically on her own, she is lost, disillusioned with where life has taken her. A Natural delves into the heart of a professional soccer club: the pressure, the loneliness, the threat of scandal, the fragility of the body, and the struggle of conforming to the person everybody else expects you to be. 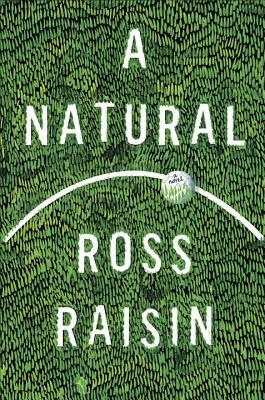 Ross Raisin was born in West Yorkshire. His first novel, God’s Own Country, published in 2008, was shortlisted for nine literary awards, including the Guardian First Book Award. In 2009, Raisin was named the Sunday Times Young Writer of the Year. In 2013, he was selected as one of Granta’s Best of Young British Novelists. Ross Raisin lives in London.